Q: How is it that you got involved in this field? A: My original passion was in the music business and I found that as an opportunity to promote my music and broaden my network with the Minnesota music community. Now, I’m just trying to pull from my 50 years of experience in the entertainment industry to inspire kids about entrepreneurship. Q: What are some of your favorite moments as a teacher? A: All the things that I am doing now? Teaching kids about open source technologies and the like… Those are basic skills that are basic things you need to know. The other piece of the puzzle is that as you are teaching you are learning. A: As you get older, you tend to get opinionated in how you think about things and the youthful perspective helps you turn that around sometimes and that is a fascinating place to be in. I don’t like it when people get to still because you get to comfortable… Comfort and growth are not compatible. Q: Is there anyone in your field you look to for inspiration? A: In the technology space, someone that inspires me most now is Ray Kurzweil. He was a pioneer in music and is now one of the leading researchers in the field of Artificial Intelligence. Q: Any particularly prominent goals in your life? A: I look at the BIC as a movement, as a seed within the community. I hope to see it grow and see other people inspired by those that it attracts. I would love to see it grow into a sustainable community beyond this space. 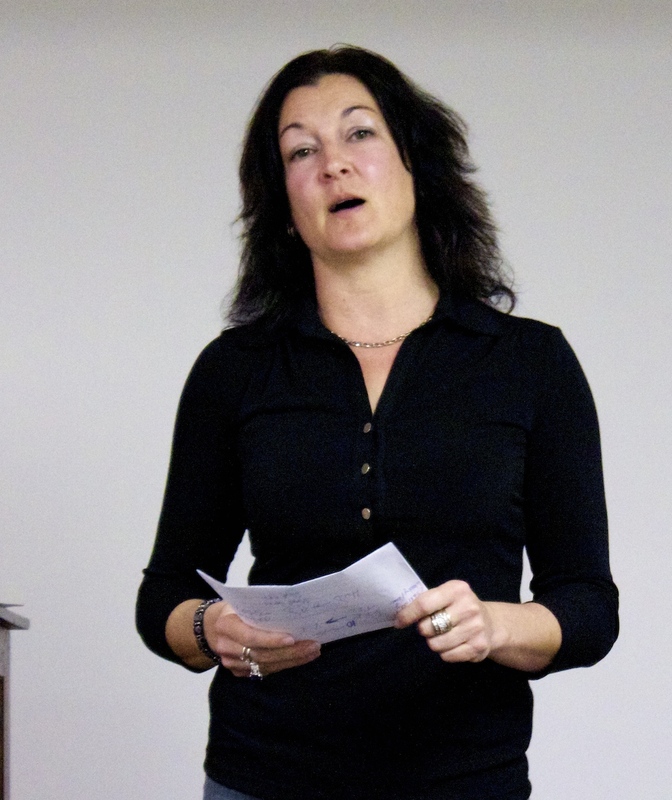 Stephanie Borden, owner of One & Done Concierge and Personal Assistant Services, pitches her businesses to members of the TAG Network on Wed., May 18. (Photo by Kevin G. Andrade)The SouthCoast Teamwork Advocach and Growth (TAG) Network for Smal Businesses is starting up growth in Fall River. With the objective of offering opportunities for networking to local entrepreneurs to help them learn about new products, learn new strategies and grwow their businesses further. The TAG Network for Small Businesses (TAG Network) met for the third time on the morning of Wednesday, May 4. Alongside some liquid energy in the form of coffee, members spoke on their businesses, loans and the objectives of the group of 17 business owners and startups. In addition, those in attendance listened to a presentation by Joanne Costa, a mortgage consultant with Accutrust Mortgage. “I’ve been in this business for about 20 years,” said Costa at the outset of her talk. From that moment on, she spoke about the recent changes that have come to mortgage lending of which potential borrowers should be aware. She said that her hope was for people to take what she is teaching and protect themselves from shady deals. In addition, whereas many lenders would add on last minute fees, they are now required to provide a final estimate of interest rates and other factors within three days of closing. Your mortgage rates are affected by your credit score which is why it is important to have good credit when you apply. The mortgages itself will also have an effect on your credit, nonehteless, it's not the only thing tha taffects your mortgage rates. Costa said that a persons credit score as well as their “loan-to-value” also factor in. Startup Weekend -Photo courtesy of @Tou Kun,Members of the Business Innovation Center team were amongst the participants and coaches at the Third Annual UMass Dartmouth Center for Innovation and Entrepreneurships’ Startup Weekend competition from April 22 to 24. The proceedings gathered around 70 participants divided into eight teams in order to hash out business ideas. Given 54 hours, they were to create pitches, code and fully flush out their initiatives. But they weren’t alone in the process. In spite of the seemingly daunting parameters of the challenge, it wasn’t as grueling as it appears according to one participant. “There was more of a feeling of excitement than being overwhelmed,” said Zack Martin, BIC program manager as well as Startup Weekend participant. “It wasn’t really stressful ever. Martin was part of a six-person team that created a mini-GPS tracking system called Footstep. Footstep is a device designed to protect your property in situations where valuables may be left in your vehicle. Should someone break into the vehicle, the device would feel the motion of the break in and notify your phone. A second notification would be sent to the users cellular device should it then begin to move with the presumed robber. Martins’ team actually came in second-place out of the eight competing teams. The winning team was called LifeSync and created a prototype for a carboximeter – a device to help people suffering from Chronic Obstructive Pulmonary Disease. For both mentors and participants, the experience was a rewarding one. Martin also learned something that he says he will take with him through any future business endeavors. “It really teaches you how to handle stress well,” said Martin. “You realize that you being stressed out leads to other people being stressed out and that things can still go smoothly as long as you stay calm. There has been a huge movement in the amount of individuals who have decided to take the journey of becoming self employed by creating their own startup company. Many fail to realize the amount of energy and risk involved in bringing to life the next big idea for a business. With the businesses that do succeed comes entrepreneurs who understand the secrets that lead to the success or failures of any given business. Through the efforts of some of these self-made business men and women, there are now programs focused on breeding more of the entrepreneurial type of people. 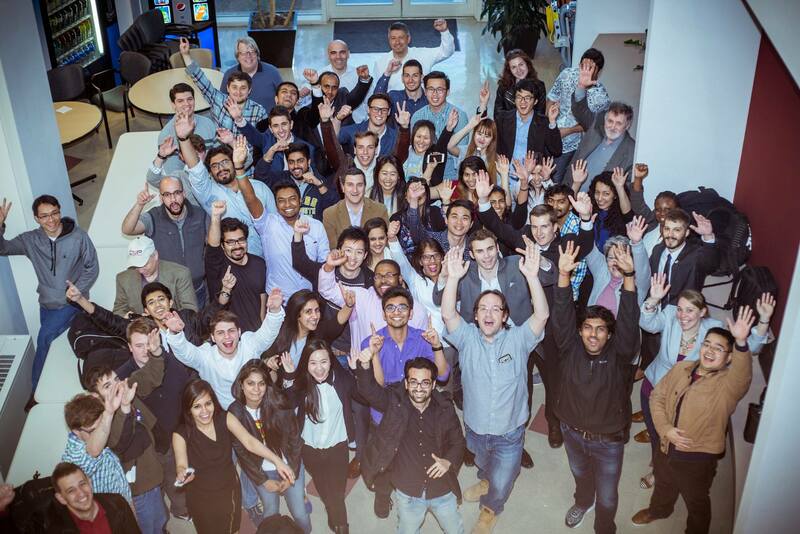 One of the catalysts that is trying to make a difference in the startup world is EforAll. EforAll is a 501(c)(3) non-profit organization dedicated to accelerating economic and social impact through entrepreneurship in mid-sized cities. 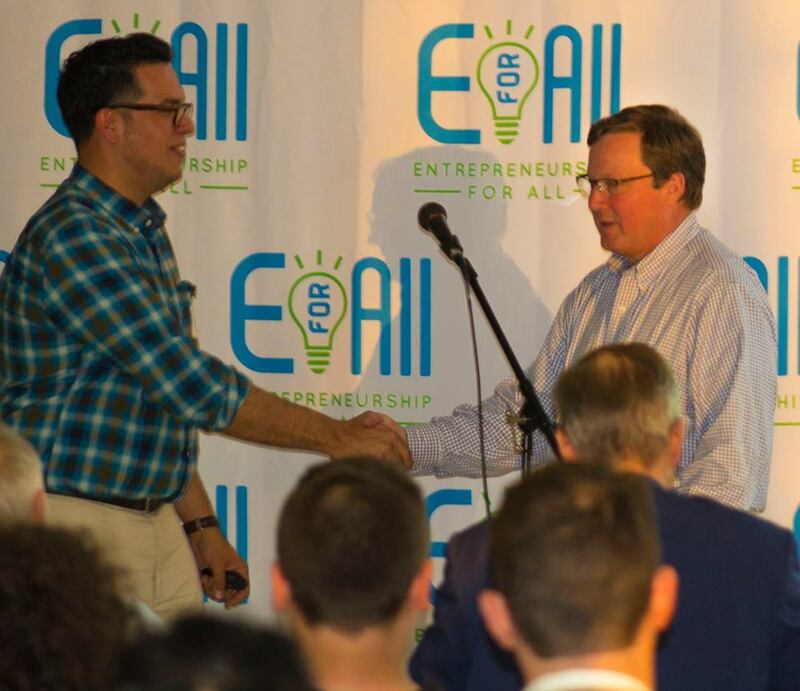 EforAll started in December 2010 as the Merrimack Valley Sandbox, a non-profit with initial funding from the Deshpande Foundation. The Deshpande Foundation at that time had two other successful programs up and going at the Massachusetts Institute of Technology (MIT) and the Hubli Sandbox in Hubli, India. Both the MIT and Hubli programs encourged entrepreneurship as a means to improve communities, and building on that success, the Deshpande Foundation decided to try to use entrepreneurship to help the cities of Lowell and Lawrence MA, both of which were struggling with high unemployment in the shadow of the very visible entrepreneurial activity 30 miles away in Boston. Once their tactics proved successful they started to focus on new territories throughout Massachusetts. Among other locations, the non-profit found themselves entering the South Coast region, mainly Fall River and New Bedford. Both cities dealing with high unemployment rate as well. EforAll runs a year long program which starts with an accelerator at the beginning that lasts three months. The way the business idea is accelerated is through classes and teachings, workshops, and pairing the entrepreneur with three mentors that they are expected to meet with weekly to help build the business. The mentors are people who love to see others succeed. They can be people who have already built a business or are in the process of it. "Some of the mentors have young businesses that have only been around for three to four years while other businesses owners have been in a particular industry for decades" says Jeremiah, who is the Program Manager at EforAll. Part of the reason why EforAll is so successful is because of employees like Jeremiah Hernandez. He spends majority of his time organizing all the events along with all the people necessary to keep the program moving. He is constantly working hard out of the Business Innovation Center in Fall River and Groundwork! in New Bedford, which are both co-working spaces. Before the accelerator even starts, Jeremiah has to accept 40 applications which are to be read by a readers pool and then graded on a number scale. Each application is read four to five times by different volunteers. The volunteers range from high school seniors to retired business man to give each application a fair shot of making it into the program. Once each business idea does get accepted, Jeremiah has to begin managing the accelerator, which involves dealing with the entrepreneurs as well as the mentors. He then has to manage all of the volunteers who help run the program. "Its a challenging task sometimes trying to make everything work together" says Jeremiah "but when it all comes together, it's more than worth it." Even if you own an already existing business, but still want to get help in the program, have no fear. They still do allow individuals with businesses to join in as well. The only time an individual can't be a part of EforAll is if the business recieved more than $25,000 in funding or investment. "When investors of any sort are thrown into the mix, working with a business becomes tougher" explains Jeremiah. The investor in most cases will try to interfere with the work that the entrepreneur is trying to accomplish. By leaving out the Invester, more work can be accomplished. EforAll has many locations situated all over Massachusetts. The one located in South Coast just recently finished their first program and with it awarded $30,000 in cash prizes to multiple startups. Jeremiah is confident with the recent graduates from the program will come long standing businesses. "There was one software company that won the 4th cash prize and was also given the opportunity to work with its targeted audience through the mentorship program. One of the mentors was able to connect this future business owner to one of the big four accounting firms in Boston, KPMG." It seems that EforAll has something good going and hopefully as they attract more hungry entrepreneurs you will start to see them grow throughout the country.